The 1776 foot high Freedom Tower, July 2015, an appropriate response to Radical Islamic terrorism. Freedom Square, NYC July 2015 – From the Ashes, the Phoenix rises stronger than ever. 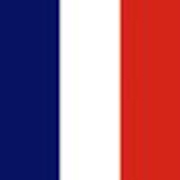 Today, November 15, 2015 – the French Air Force has made their appropriate response to Radical Islamic terrorism. The people whose lives were lost on 9/11 will never be forgotten. From just a few of our friends. The final words of those who were killed by jihadi cowards were of love for their friends and families. I honor them and the memory of their heroism by remembering, and calling out those who know what was done and who among them are committing these crimes but do nothing.